The sixth day of Creation had come to an end. During the first five days, the world had been transformed from chaos to a thing of perfect beauty. Darkness was replaced by light. The waters were pushed back as God commanded them. “ ‘ “This far you may come, but no farther, and here your proud waves must stop!” ’ ” (Job 38:11, NKJV). The dry land sprouted into a canvas of colors and fragrances. Birds of all kinds and varieties flew about while fish and sea mammals swam and splashed in their aquatic home. Land animals of all types and species ran, jumped, or hung from tree limbs, depending on how the Creator had created them. Then, finally, humans were made, in God’s own image, unique beings in all the earthly Creation. As God prepared for the first seventh-day Sabbath on earth, He looked on creation and declared it all “very good” (Gen. 1:31). If only that were the end of the story—a perfect world, with perfect people, existing forever. Just think: Adam and Eve have many children, and then grandchildren, and great-grandchildren, whom they watch grow for an endless number of generations, each one bringing even more joy to the first couple, and to God, as well. It’s a scenario that we—existing in, and knowing only, a fallen world—can barely imagine. And that’s because our imaginations have been formed in a world radically different from the one God had first created. How different are the two worlds, the world before sin and the world after? Here’s one example. As Adam and Eve, wrote Ellen White, “witnessed in drooping flower and falling leaf the first signs of decay, Adam and his companion mourned more deeply than men now mourn over their dead. The death of the frail, delicate flowers was indeed a cause of sorrow; but when the goodly trees cast off their leaves, the scene brought vividly to mind the stern fact that death is the portion of every living thing.”—Patriarchs and Prophets, p. 62. We don’t have that reaction to a falling leaf because, having lived only in a world of sin, we have come to take death and suffering as inevitable parts of the cycles of life. And that’s what this quarter’s lesson is about: the cycles of life, at least for us now, in this fallen world. And we are going to look at these cycles in the one place most of us cycle through them, and that is within the framework of family. Humans were created, in Eden, in the context of family; first a husband and wife, and then children, who had more children, and thus, we have the history of our world even to the present day. Indeed, many of the earliest Bible stories, from Adam and Eve, the patriarchs, the Davidic dynasty, all unfolded within the context of family and family relationships. All through the Bible, in one way or another, families help form the framework of events that unfold. Which isn’t surprising because, again, as we cycle through these seasons of life, we, too, do so to one degree or another against the backdrop of family. Despite all the forces working against the family, both today and in the past (for instance, the practice of polygamy in biblical times hardly added to family stability), and despite attempts to redefine exactly what a family is, the concept of a family endures. And it should. It’s where we get started, and it is often the greatest force for good or evil in shaping our lives and how we respond to challenges we face as we cycle through the stages of life. And, just as each individual is different, each family is, as well. 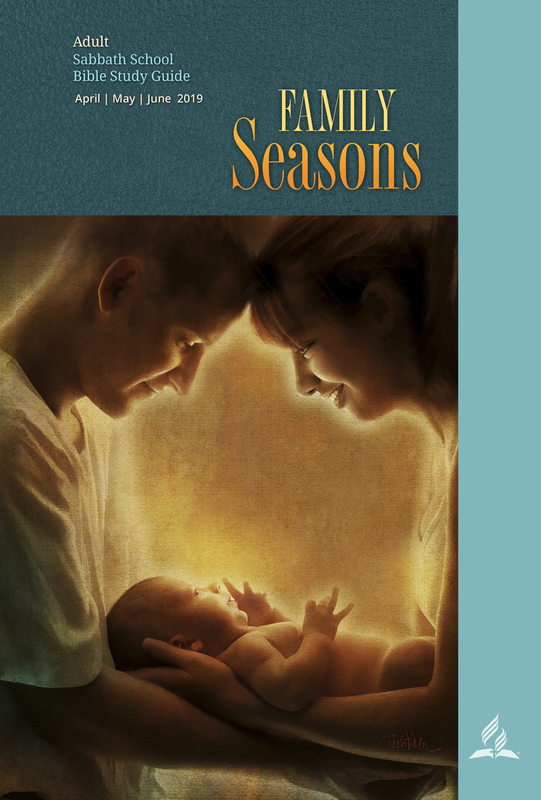 Hence, this quarter’s lessons point to principles, based on Scripture, that (it’s our hope and prayer) can help make for stronger families at every stage of life. These helpful books are wonderful study tools designed to help you gain new insights and fresh perspectives from your Sabbath School Bible study. Visit The Ellen G. White Estate for more information on how to obtain Ellen G. White books, or locate Ellen G. White references that are cited in the Adult Bible Study Guide. This is the official website for the Adult Bible Study Guides of the Seventh-day Adventist® Church.